I am trying to stay as engaged with our exciting Toronto neighbourhood of Leslieville as possible. I also contribute and use my strategic design skills at every opportunity. 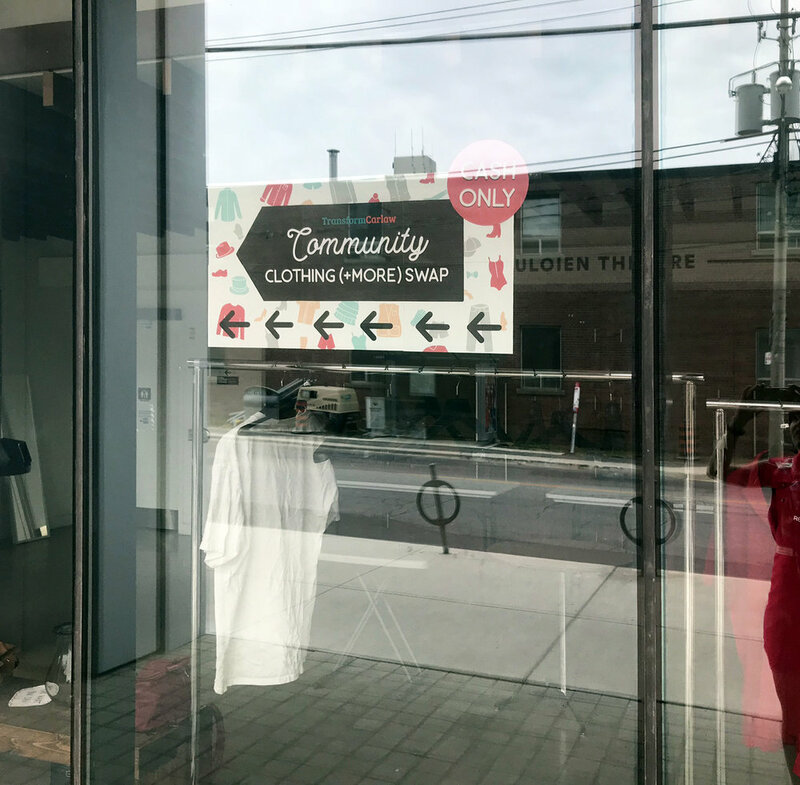 A clothing swap event as a part of TransformCarlaw was put together to encourage sustainable living. An event poster to set the visual language was the first deliverable, followed by the Facebook event banner – the social platform was the main promotion vehicle for the event. For the day of the event, I created a welcome sign to communicate rules and information, and exit banner with useful information on payment and extra clothes. Also created were multiple way-finding elements, including an A-frame board to direct street traffic, washroom and change-room signs plus section labels. All these elements came together on the event day and helped deliver a memorable experience with no hassle for everyone involved. To keep the costs manageable, letter size prints were used and many of the pages were tiled to create larger graphics.